M.A., 1973 School of Advanced International Studies, The Johns Hopkins University, Washington, D.C. Identity Politics in an age of Globalization, with Markus Thiel (eds.) (Boulder: First Forum Press/Lynne Rienner, 2010). United Nations Politics: International Organization in a Divided World, with Donald Puchala and Katie Laatikainen (New York: Prentice-Hall, 2007). International Cooperation in Response to AIDS, with Leon Gordenker, Christer Jönsson, and Peter Söderholm (London: Frances Pinter/Cassell Press, 1995). United States Policy and the Future of the United Nations (ed.) (New York: Twentieth Century Fund, 1994). The Challenge of Relevance: The United Nations in a Changing World Environment, with Donald Puchala, Reports and Papers, Academic Council on the United Nations System (ACUNS), 1989. Unilateralism, Ideology and United States Foreign Policy: The U.S. In and Out of UNESCO (Boulder: Lynne Rienner Publishers, 1988). The Power of Human Needs in World Society, with Jerel Rosati, (eds.) (Boulder: Lynne Rienner Publishers, 1988. The State of the United Nations, 1988, with Donald Puchala, Reports and Papers, No. 2, ACUNS, fall 1988. Global Issue Regimes (New York: Praeger, 1982). The Role of International Nongovernmental Organizations in World Politics, with Werner J. Feld. Learning Package Series Number 17. New York: Learning Resources in International Studies, 1976. “Interdependence in International Organization and Global Governance, with Jeffrey A. Griffin, and Steven J. Elliott-Gower.” In Renee Marlin-Bennett (ed.) The International Studies Encyclopedia (Chister, West Sussex, UK: Wiley-Blackwell, 2015), Blackwell Reference Online. “The Iraq Invasion and U.S.-UN Relations,” in Ramesh thakur, ed., Similar Countries, Different Policies: Austalia, Canada and the 2003 Invasion of Iraq (Vancouver, BC: University of British Columbia Press, forthcoming 2014). “Sustainable Development,” in Thomas Weiss and Rorden Wilkinson, International Organization and Global Governance (London: Routledge, 2013). “Women and Global Partnership: A New Approach,” Proceedings of the 90th Anniversary International Conference Duksung Women’s University, (Seoul, Korea, Duksung Women’s University, 2010). “Protecting the Environment,” in Dulcie Leimbach, ed., A Global Agenda: Issues Before the United Nations 2009–2010 (New York: United Nations Association, USA, 2009), pp. 57–68. “Are We There Yet: Midway Through the Millennium Development Goals,” in Dulcie Leimbach, ed., A Global Agenda: Issues Before the United Nations 2009–2010 (New York: United Nations Association, USA, 2009), pp. 78–82. “Growing the “Third UN’ for People-centered Development: The United Nations, Civil Society and Beyond,” Global Governance, vol. 15, no. 2 (2009): 153–168. “The United Nations as Norm-Creator: Sunrise or Sunset,” with Jacques Fomerand, in Klaus-Gerd Giesen and Kees van der Pijl, eds., Global Norms (London: Palgrave-Macmillan, 2006). “Development: Meeting the Millennium Challenge,” with Gail Karlsson, in Diana Ayton-Shenker, ed., A Global Agenda: Issues Before the 60th General Assembly of the United Nations (New York: Rowman & Littlefield Publishers, 2005). “The Promotion of Democracy,” review article, Global Society, vol 19, no. 4 (October 2005): 445-455. “Requirements of Multilateral Governance in a Postmodern Era: The UN and Human Security,” with W. Andy Knight, and Andrei Maximenko, in W. Andy Knight (ed. ), Adapting the United Nations to a Postmodern World: The Reconstruction of Global Security Mechanisms, Second Edition (London: Macmillan Press, 2005; first edition, 2001). “Civil Society as a Force for Peace,” International Journal of Peace Studies 9, no. 1(Spring/Summer 2004). “U.S. War on Iraq and the United Nations: A Challenge to the UN’s Relevance or U.S. Legitimacy?” in Christopher Dolan and Betty Glad, eds., Striking First: The Doctrine of Preemption and Preventive War and the Reshaping of U.S. Foreign Policy (New York: Palgrave-Macmillan, 2004). “Managing Global resources and Sustainable Development,” with Gail Karlsson and Pera Wells and Ethan Kunz, in Diana Ayton-Shenker, ed., A Global Agenda: Issues Before the 59th General Assembly of the United Nations (New York: Rowman & Littlefield Publishers, 2004). “The United Nations Millennium Development Goals,” in Diana Ayton-Shenker, ed., A Global Agenda: Issues Before the 58th General Assembly of the United Nations (New York: Rowman & Littlefield Publishers, 2003). “The United Nations and Development,” in Diana Ayton-Shenker, ed., A Global Agenda: Issues Before the 57th General Assembly of the United Nations (New York: Rowman & Littlefield Publishers, 2002). “The United Nations and Development,” in Diana Ayton-Shenker, ed., A Global agenda: Issues before the 56th General Assembly of the United Nations (New York: Rowman & Littlefield, 2001), pp. 95–121. “The United Nations and Development,” in John Tessitore and Susan Woolfson, eds., A Global agenda: Issues before the 55th General Assembly of the United Nations (New York: Rowman & Littlefield, 2000), pp. 93–111. “The United Nations and Development,” in John Tessitore and Susan Woolfson, eds., A Global agenda: Issues before the 54th General Assembly of the United Nations (New York: Rowman & Littlefield, 1999), pp. 93–112. “The United Nations and Sustainable Development: Creative Partnerships with Civil Society,” with Chadwick Alger and Ronnie Lipschutz, Alternatives 21, no. 1 (Jan.–Mar. 1996): 93–122. “The Future of the United Nations,” in Roger A. Coate (ed. ), United States Policy and the Future of the United Nations. New York: Twentieth Century Fund, 1994, pp. 1–17. “Increasing the Effectiveness of the UN System,” in Roger A. Coate (ed. ), United States Policy and the Future of the United Nations. New York: Twentieth Century Fund, 1994, pp. 42–65. “The United Nations and a New Democratic Order,” in Jong-Yil Ra (ed. ), Democracy and New International Order in the 21st Century. Seoul: Kyung Hee University Press, 1993, pp. 447–463. “Changing Patterns of Conflict: The US and UNESCO,” in Karen Mingst and Margaret Karns (eds. ), The United States and International Organizations. New York: Routledge, Chapman & Hall, 1992. “Global Policies and the United Nations System: A Current Assessment,” with Donald Puchala, Journal of Peace Research 27, no. 2 (May 1990): 127–140. Reprinted in Friedrich Kratochwil and Edward D. Mansfield (eds. ), International Organization: A Reader. New York: HarperCollins, 1994, pp. 257–271. “Human Needs in World Society,” with Jerel Rosati, in Coate and Rosati (eds. ), The Power of Human Needs in World Society. Boulder: Lynne Rienner Publishers, 1988, pp. 1–23. “The Micro Foundations of International Governance: The Case of U.S./UNESCO Relations,” in Coate and Rosati (eds. ), The Power of Human Needs in World Society. Boulder: Lynne Rienner Publishers, 1988, pp. 225–256. “Human Needs Realism: A Critical Assessment of the Power of Human Needs in World Society,” with David J. Carroll and Jerel Rosati, in Coate and Rosati (eds. ), The Power of Human Needs in World Society. Boulder: Lynne Rienner Publishers, 1988: 257–274. “A Critical Science of Global Relations,” with Craig Murphy, International Interactions 12, no. 2, spring 1985):109–132. “Substantive Problem Areas”, with Charles F. Hermann. In Patrick Callahan et al., eds., Describing Foreign Policy Behavior: Political Decisions and Events. Beverly Hills: SAGE, 1982. “Trans-societal Sport Associations: A Descriptive Analysis of Structures and Linkages”, with James Harf and Henry March. International Associations, no. 12 (December 1974):594–603. “United Nations,” in Encyclopedia Britannica 2013 Year in Review (Chicago: Encyclopedia Britannica, 2014). “United Nations,” in Encyclopedia Britannica 2012 Year in Review (Chicago: Encyclopedia Britannica, 2013). “United Nations,” in Encyclopedia Britannica 2011 Year in Review (Chicago: Encyclopedia Britannica, 2012). “United Nations,” in Encyclopedia Britannica 2010 Year in Review (Chicago: Encyclopedia Britannica, 2011). “United Nations,” in Encyclopedia Britannica 2009 Year in Review (Chicago: Encyclopedia Britannica, 2010). “United Nations Educational, Scientific and Cultural Organization (UNESC) and Human Rights,” in David Forsythe, ed., Encyclopedia of Human Rights (New York: Oxford University Press, forthcoming 2009). “United Nations,” in Encyclopedia Britannica 2008 Year in Review (Chicago: Encyclopedia Britannica, 2009). “Financing Development,” The Interdependent, vol. 6, no. 1 (Spring 2008) (New York: United Nations Association of the United States of America), pages 30–31. “United Nations,” in Encyclopedia Britannica 2007 Year in Review (Chicago: Encyclopedia Britannica, 2008). “Global Partnerships,” The Interdependent, vol. 5, no. 3 (Fall 2007) (New York: United Nations Association of the United States of America), pages 30–31. “Denying Women Rights Puts Development at Risk,” The Interdependent, vol. 5, no. 2 (Summer 2007) (New York: United Nations Association of the United States of America), pages 30–31. “Children Needlessly Dying,” The Interdependent, vol. 5, no. 1 (Spring 2007) (New York: United Nations Association of the United States of America), pages 30–32. “United Nations,” in Encyclopedia Britannica 2006 Year in Review (Chicago: Encyclopedia Britannica, 2007). “Mothers Don’t Have to Die,” The Interdependent, vol. 4, no. 3 (Fall 2006) (New York: United Nations Association of the United States of America), pages 30–32. “Ignoring the Earth Comes with Consequences,” The Interdependent, vol. 4, no. 2 (Summer 2006) (New York: United Nations Association of the United States of America), pages 30–32. “United Nations,” in Encyclopedia Britannica 2005 Year in Review (Chicago: Encyclopedia Britannica, 2006). “Feeding the World’s Poor,” The Interdependent, vol. 4, no. 1 (Spring 2006) (New York: United Nations Association of the United States of America), pages 30–31. “A Crisis Continuing,” The Interdependent, vol. 3, no. 4 (Winter 2005/2006) (New York: United Nations Association of the United States of America), pages 28–29. “United Nations,” in Encyclopedia Britannica 2004 Year in Review (Chicago: Encyclopedia Britannica, 2005). “Are We Failing?” The Interdependent, vol. 3, no. 2 (Fall 2005) (New York: United Nations Association of the United States of America), pages 28–29. “United Nations,” in Encyclopedia Britannica 2003 Year in Review (Chicago: Encyclopedia Britannica, 2004). “United Nations,” in Encyclopedia Britannica 2002 Year in Review (Chicago: Encyclopedia Britannica, 2003). 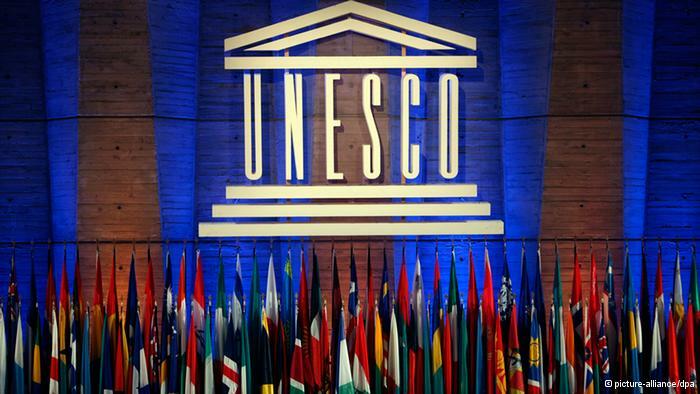 American Participation in UNESCO: Rising to Meet the Challenges of a New World Order. Report prepared for the Americans for the Universality of UNESCO, Washington, D.C., February 1992. Inventory of International Capabilities of the Faculty and Staff of the University of South Carolina, 1985–1986, Volume I (Columbia: James F. Byrnes International Center, University of South Carolina, March 1986). Assessment of Draft Programme and Budget for 1986–1987 of UNESCO, with Jonathan Davidson. Report prepared for the Executive Committee of the U.S. National Commission for UNESCO, December 1985 (Washington, D.C.: U.S. Department of State, 1985). Report of the Monitoring Panel on UNESCO for the U.S. Secretary of State, drafted with Jonathan Davidson and Lee Sanders (Washington, D.C.: U.S. Department of State, November 27, 1984). Grant, “Understanding Global Governance in a Globalizing World: International Cooperation in Response to HIV/AIDS,” with Jason rich, Georgia College intramural grant, $4,916.55, 2013. Grant, “Creating Effective Partnerships for Human Security Project,” in cooperation with the United Nations University (UNU), the Executive Office of the United Nations Secretary-General, the Academic Council on the United Nations System (ACUNS), the International Studies Association (ISA), the Central European University/Open Society Institute, and other academic institutions and professional associations; $3,064,000, with $1.2 million received from the Central European University/Open Society Institute, Budapest. Grant, “Korea and the American Southeast,” Fulbright-Hayes Group Project Abroad Grant, U.S. Department of Education, $65,000, April 1–October 1, 2003 [postponed to summer 2004 because of SARS]. Operational Grant, Institute of International Studies, University of south Carolina, Sarah Scaife Foundation, $50,000, May 1, 2002–April 30, 2003. Grant, “Korea Conference Grant,” Korea Foundation, $30,000, support for the “Korea’s Outward Thrust” conference, May 23–25, 2003; May 1–December 31, 2003. Grant, “Issue Framing and Leadership/Followership in International Cooperation,” with Charles Hall (USC), Christer Jönsson, Annica Young Kronsell, and Peter Söderholm (University of Lund, Sweden), $5,500 from the International Studies Association to host a Processes of International Cooperation Project related workshop in Turin, Italy, 22–23 June 1996 in conjunction with the Ninth Annual Meeting of the Academic Council on the United Nations System. Contract, “Editorial Office of Global Governance: A Review of Multilateralism and International Organizations, $64,302, subcontract from Brown University, 1 January 1996–30 June 1997. Grant, “American Peoples’ Delegation to the 50th Anniversary Celebration of the United Nations Educational, Scientific and Cultural Organization (UNESCO)” Grant, with John E. Fobes (Americans for the Universality of UNESCO), $10,000, MacArthur Foundation, November 1995. Contract, “Editorial Office of Global Governance: A Review of Multilateralism and International Organizations, $48,072, subcontract from Brown University, 1 January–31 December 1995. Contract, “Editorial Office of Global Governance: A Review of Multilateralism and International Organizations, $45,831, subcontract from Brown University, 1 October 1993–31 December 1994. Grant, “International Cooperation in Response to AIDS,” with Leon Gordenker (Princeton University) and Christer Jönsson (University of Lund, Sweden), $305,000 ($150,000 from the Ford Foundation with a matching grant for an equivalent amount, $155,000, from The Bank of Sweden Tercentenary Foundation, 1 June 1990–31 May 1993. Grant, “Change and Transformation in Global Governance,” $2,867, USC Research and Productive Scholarship Faculty Grant Program, 16 May–31 December 1992; plus $6,930 from Allstate Insurance, 12 November 1992–31 December, 1993. Grant, “Change and Transformation in Global Governance: Pilot Project,” $596, Southern Regional Education Board, 1992. Grant, “The United Nations System and the Challenge of Relevance,” with Donald Puchala, $11,216, Ford Foundation, 1 November 1989–31 October 1990. Grant, “Social Networks and International Cooperation Responding to AIDS,” $1,200, USC Venture Fund, 1 January 1990–15 August 1990. Planning Grant, “Networks of International Cooperation: Responding to AIDS,” with Leon Gordenker, Urs Luterbacher, and Christer Jönsson, $17,300, Rockefeller Foundation, 1 September 1988–31 August 1989. Grant, “The State of International Organization 1989,” with Donald Puchala, $3,000, Academic Council on United Nations Studies (ACUNS), 1 January 1989–30 June 1989. Grant, “The State of International Organization 1988,” with Donald Puchala, $2,500, ACUNS, 1 January 1989–30 June 1988. Grant, “A Preliminary Assessment of Environmental Monitoring in the Vicinity of the Savannah River Plant,” $3,000, Energy Research Foundation, summer–fall, 1983. Vice Chair and Member of the Executive Committee, Board of Directors of the Academic Council on the United Nations System (ACUNS), 2010–2013 and reappointed 2014–2016. Chair, Governance Committee, Board of Directors of the Academic Council on the United Nations System, 2010–present. Chair, Conference Workshop Planning Committee, International Organization Section/International Studies Association, 2013–present. Chair, Dissertation Awards Committee, Academic Council on the United Nations System, 2011–present. Chair, Global Governance Journal Editorial Office site-Selection Committee, Academic Council on the United Nations System, 2012–2013. Member, Global Governance journal Forward Planning Committee, Academic Council on the United Nations System, 2013–present. U.S. Department of State Public Diplomacy Mission, Consultations with the UN Security Council team of Chile, Ministry of Foreign Affairs, Government of Chile, U.S. Embassy, Santiago, Chile, December 10–14, 2013. “Chile in the United Nations Security Council,” 30-minute Embassy Radio Program with Dr. Guillermo Holzmann, University of Valparaiso, U.S. Embassy, Santiago, Chile, December 13, 2013. Member, External Review Committee, National Research Council Policy and Global Affairs: Review of the Board on International Scientific Organizations, National Academy of Sciences, U.S. Government, Washington, D.C., September–November 2013. Advisor on Taiwan’s relations with International Organizations, Foreign Ministry of the Republic of China, Taipei, Republic of China, June–December 2011. Editorial Board Member, Global Governance: A Review of Multilateralism and International Organizations, 2000–present. Member, Executive Committee, International Organization Section/International Studies Association, 2010–2012. Ladd Holist Award for Outstanding Service, International Studies Association, 2009. Chair, International Organization Section, International Studies Association, 2008–2010. Chair, Selection Committee for the Editorial Office of Global Governance, Academic Council on the United Nations system (ACUNS), 2008–2009. Award, The Charles Knowlton Law and Humanities/Social Sciences Research Award Competition, USC, 1993. Delegate, World Investment Forum 2014, UNCTAD, Geneva, Switzerland, October 14–18, 2014. Delegate, Sixth Meeting of the Collective Consultation of NGOs on Education for All (CCNGO/EFA), UNESCO, Paris, 24–26, 2012. Scholarship Advisor, Sigma Alpha Epsilon fraternity, Georgia College, 2012–present. Member, International Education Committee, GC, 2010–present. Member, Study Abroad Sub–committee (Curriculum Committee), International Education Committee, GC, 2011–present. Member, Faculty Grant Curriculum Sub–committee, International Education Committee, GC, 2011–present. Chair, Coverdell Chair Public Policy Student Research Scholar Award Program Committee, GC, 2013–present. Member, Global Citizenship Symposium Planning Committee, College of Arts & Sciences, GCSU, 2009–present. Initiated, organized, and oversees the Coverdell Chair Public Policy Student Research Award Scholars (PPSRS) Program, GC, 2013–present. Designed and oversees the Coverdell Chair Public Policy Colloquium Series, GC, 2013–present. Member, Martha Daniel Newell Visiting Scholar Committee, 2011–2012. Liaison, Georgia College Institutional Membership in the Academic Council on the United Nations System, Waterloo, Ontario, Canada., January 2009 – Present. Discussion Facilitator, President’s Scholarship Competition, November 2013. Member, Full Professor Promotion Standards Committee, Georgia College, 2013–present. Member, Chair Search Committee for the Department of Government and Sociology, GCSU, 2011 and 2012. Founder and Coordinator, Faculty Research and Teaching Colloquium Series, Georgia College & State University (GCSU), 2010–2012. Organizer, Distinguished Alumni Lecture Series, Department of Government and Sociology, Georgia College, Fall 2012. Member, Core MPA Faculty Committee, Georgia College, 2009–present. Member, Faculty Evaluation Committee, Department of Government and Sociology, GC, 2013–present. Member, Political Science Program Committee, Department of Government and Sociology, GC, 2009–present. Member, Core MPA Faculty Program Committee, Department of Government and Sociology, GC, 2009–present. Chair, Subcommittee for Jason Rich, Tenure and Promotion Committee, Department of Government and Sociology, GC, Fall 2013. Chair, Pre-tenure Review Committee for Dr. Min Kim, Department of Government and Sociology, February–March 2013. Chair, Pre-tenure Review Committee for Dr. Jason Rich, Spring 2012. Member, Subcommittee for Dr. Steve Elliott-Gower, Tenure and Promotion Committee, Department of Government and Sociology, GC, Fall 2012. Member, Subcommittee for Dr. Jerry Herbel, Tenure and Promotion Committee, Department of Government and Sociology, GC, Fall 2011. Member, Post-tenure Review Committee for Jennifer Hammack, Department of Government and Sociology, Spring 2013. Member, Tenure and Promotion Committee, Department of Government and Sociology, GC, Fall 2011 and Fall 2013. Member, Georgia College delegation to the Third Annual USA India Business Summit, Atlanta, June 21–22, 2012. Member, Georgia College delegation to the Second Annual USA India Business Summit, Atlanta, June 21–22, 2011. Financial sponsor for Model Union Nations Club delegation to the National Model United Nations Conference, Washington, D.C., November 2010. Director, “New Regionalism, Emergent Powers and the Future of Security and Governance” course, Summer University, Central European University, Budapest, 13–24 July 2009. Member, Global Awareness and Multilateral Understanding Work Team, Office of the Provost, USC, 2006–2008. Member, International Studies Graduate Committee, USC, 1990–1993. “Challenges and Opportunities for the United Nations and Global Governance in the 21st Century,” Keynote address presented at the International Seminar on the 70th Anniversary of the United Nations: “The Seventy Years of the UN: Mission, Responsibility, and Future,” Diaoyutai State Guest House, Beijing, 20 July 2015. “Gender, Justice, and the Securitization of AIDS: International versus Traditional Norms and Practices,” with Jeffrey Griffin. Paper presented at the 2015 Annual Meeting of the Academic Council on the United Nations System, The Hague, Netherlands, June 11–13, 2015. “Interorganizational Theory and International Cooperation in Response to AIDS,” with Jeffrey A. Griffin, and Matthew Shelden. Paper presented at the Annual Meeting of the International Studies Association South, Richmond, Virginia, October 25–26, 2014. “International Cooperation for Eradicating AIDS: Creating an Effective Global Partnership,” with Jared Brumbeloe, Presentation at the College of Health Sciences, GC, April 23, 2014. “Civil Society Organizations and IO Linkages: Transnational AIDS Politics Upside Down,” with Jeffrey Griffin, Paper presented at the Annual Meeting of the International Studies Association, Toronto, Canada, March 26–29, 2014. “UNESCO Directors–General and Organizational Continuity and Change,” with Jeffrey Griffin, Paper presented at the Annual Meeting of the International Studies Association, Toronto, Canada, March 26–29, 2014. “The United Nations and Changing World Politics: Standing the Test of Time?” Roundtable presentation at the Annual Meeting of the International Studies Association, Toronto, Canada, March 26–29, 2014. “UN Security Council: Background and Challenges for Chile as a New Member,” Lecture at the Institute of Political Science, Universidad Central, Santiago, Chile, December 13, 2013. Keynote Address: “UN Security Council Reform: Problems and Prospects,” Symposium of International Analysts, Civil Society Opinion Leaders, Members of the Diplomatic Corps, and Academia, Center for International Studies, Catholic University, Santiago, Chile, December 11, 2013. Chair, “Non-State Actors and Violence,” Joint International Studies Association/Peace Science Society Conference, Corvinus University of Budapest, Budapest, Hungary, June 27–29, 2013. Chair, “Institutional Leadership and the Coordinating Function in Global Governance,” 2013 Annual Meeting of the Academic Council on the United Nations System, Lund, Sweden, June 17–19, 2013. “Iraq War and the U.S.-UN Relationship: Lessons Learned,” paper presented at “The Invasion of Iraq: Canadian and Australian Perspectives” joint conference of The Asia-Pacific College of Diplomacy, Australian National University, and The Munk School of Global Affairs, University of Toronto, Canberra, Australia, April 29–30, 2013. “Identity Politics, Mobilizing Structures, and the Effects of Policy Framings on Global AIDS Cooperation,” with Vlad Kravtsov, and Jeffrey Griffin, paper presented at the Annual Meeting of the International Studies Association, San Francisco, April 3–6, 2013. Keynote address: “U.S. Immigration Politics and Policy: A New Political Discourse?” International Symposium on Migratory Bridges in Eurasia, Russian Academy of Sciences, Moscow, November 6–7, 2012. Discussant, “Going Global: Local Communities and the International Arena,” International Studies Association South Conference, Atlanta, October 12–13, 2012. Chair, “Understanding and Evaluating Institutional Change,” Panel, 2012 Annual Meeting of the Academic Council on the United Nations System, New York, June 13–15, 2012. “Divisive Consensus: The Effects of Policy Framings on Global AIDS Politics,” with Vlad Kravtsov, paper presented at the Annual Meeting of the International Studies Association, San Diego, April 1–4, 2012. “The IO BIO Project: A Biographical Dictionary of Secretaries-General of International Organizations” Roundtable, Annual Meeting of the International Studies Association, San Diego, April 1–4, 2012. Participant, Roundtable Panel on “The United States and Multilateral Institutions: What Has changed Since 1990?” Annual Meeting of the International Studies Association, San Diego, April 1–4, 2012. Chair, “Comparing (I)NGO Opportunity Structures and IGO Responsiveness: Does Input Equal Output?” Annual Meeting of the International Studies Association, San Diego, April 1–4, 2012. “The Third UN and the Evolution of Global Governance in the 21st Century,” with Atanas Sabev and Andrei Iovu, paper presented at the World International Studies Conference, International Studies Association, Porto, Portugal, Panel, Academic, International, Accepted. (August 17, 2011). “The ‘Third UN’ and the Future of Global Governance: Lessons Learned from the Global AIDS Campaign,” with Atanas Sabev and Andrei Iovu, paper presented at the Central and Eastern European International Studies Association Conference, Istanbul, Turkey, June 15–17, 2011. Moderator, Plenary Session on “The United Nations and Public Private Partnerships,” Eleventh Annual Meeting of the Academic Council on the United Nations System, Waterloo, Canada, June 2–4, 2011. Participant, Roundtable Panel on “Political Authority in Transition: Editors of Global Governance Look Back, and Forward,” Annual Meeting of the International Studies Association, Montreal, Quebec, Canada, March 16–19, 2011. Chair, “International Organizations and Criminality” panel, Annual Meeting of the International Studies Association, Montreal, Quebec, Canada, March 16–19, 2011. Chair, “The International Criminal Court and Global Justice” panel, Annual Meeting of the International Studies Association, Montreal, Quebec, Canada, March 16–19, 2011. Discussant, “International Campaigns to Promote Norms” panel, Annual Meeting of the International Studies Association, Montreal, Quebec, Canada, March 16–19, 2011. Invited Paper, “Women and Global Partnership: A New Approach,” The International Conference celebrating the 90th Anniversary of Duksung Women’s University, Lotte Hotel, Seoul, Korea, October 29, 2010. Chair, “Role and Responsibility of International Institutions” panel, annual conference of the Academic Council on the United Nations System, Vienna, Austria, June 3–5, 2010. “The Concept of Networking and Global Governance,” paper presented on “International Organization and the Scholarship of Leon Gordenker, IO Section Distinguished Scholar” panel at the annual conference of the International Studies Association, New Orleans, February 17-20, 2010. “Challenges for Governance in the 21st Century: Civil-Society-UN Relations Inside Out,” with Donald Puchala and Jason Rich, paper presented at the annual conference of the International Studies Association, New Orleans, February 17-20, 2010. Participant, Roundtable panel on “”Engagement or Estrangement: American Multilateralism in the Twenty-first Century,” at the annual conference of the International Studies Association, New Orleans, February 17-20, 2010. Chair, “Authorized and Unauthorized Humanitarian Interventions and the Construction of Peace” panel, at the annual conference of the International Studies Association, New Orleans, February 17-20, 2010. Moderator, “International Human Rights Panel,” 2010 Global Citizenship Human Rights Symposium, February 9, 2010. “Declaring Human Rights for Global Citizens: The United Nations,” 2010 Global Citizenship Human Rights Symposium, February 8, 2010. Chair, “Modeling Multilateralisms” panel, annual conference of the Academic Council on the United Nations System, Port of Spain, Trinidad & Tobago, June 4–6, 2009. “International Organizations and Identity Politics across the North-South Divide: What Role for Issue-framing and the Media?” with Markus Thiel, paper presented at the annual conference of the International Studies Association, New York, February 15–18, 2009. “Global Citizenship,” keynote address, International Symposium: “Global Citizenship: Environmental Justice,” Georgia College & State University, February 9, 2009. “The European Union, International Organization and Global Governance, Ruth K. and Shepard Broad Lecture, University of Miami, October 13, 2008. “The Impact of National Identity on Identity Politics in the Industrialized and the Developing Worlds,” with Markus Thiel, paper presented at the Second Global International Studies Conference, Ljubljana, Slovenia, July 23–26, 2008. Chair and Discussant, “National Strategies in International Organizations” panel, Second Global International Studies Conference, Ljubljana, Slovenia, July 23–26, 2008. “Growing the “Third UN’ for People-centered Development: The United Nations, Civil Society and Beyond,” The John Holmes Memorial Lecture, Annual Meeting of the Academic Council on the United Nations University, Bonn, Germany, June 5, 2008. “Identity politics and political identities in the industrialized and the developed world,” with Markus Thiel, paper presented at the annual conference of the International Studies Association, San Francisco, March 26–29, 2008. Discussant, “Reform of the United Nations” panel, annual conference of the International Studies Association, San Francisco, March 26–29, 2008. Chair, “Political Identities and Identity Politics Reconsidered” panel, annual conference of the International Studies Association, San Francisco, March 26–29, 2008. “Identity Politics and Regionalization in Comparative Perspective,” with Markus Thiel, paper presented at the annual conference of the International Studies Association South Region, Savannah, Georgia, October 25–27, 2007. “The U.S., UN Politics and Global Governance Transformation,” with Andrei Iovu, paper presented at the Annual Meeting of the International Studies Association, Chicago, February 28–March 3, 2007. “Women in Development: The Continuing Crisis,” United Nations Day address presented to the Western North Carolina United Nations Association Chapter, Asheville, NC, October 25, 2006. “Legitimacy and Authority Crises in Global Governance: Practice in Search of Theory,” with Andrei Iovu, International Studies Association South Region Annual Meeting, Birmingham, October 20–21, 2006. Chair and Discussant, “Global Health and Environmental Issues” Panel, International Studies Association South Region Annual Meeting, Birmingham, October 20–21, 2006. “Transforming the United Nations at Sixty: U.S. Domestic Foundations of Reform Stasis,” International Studies Association, San Diego, March 22–25, 2006. Chair, “The Legitimacy of International Organizations” panel, International Studies Association, San Diego, March 22–25, 2006. “The United States, United Nations and the Crisis of Legitimacy,” 2006 Roy Ray Lecture, Centre College, January 10, 2006. “Development and Its Discontents,” Paper presented at the Annual Meeting of the International Studies Association South Region, Miami, November 2–5, 2005. Chair and Discussant, “Let’s Talk Turkey (and Its Neighbors” panel, Annual Meeting of the International Studies Association South Region, Miami, November 2–5, 2005. “U.S. Unilateralism and Exceptionalism in a Multilateral World: Preventive War for Human Insecurity,” International Studies Association, Honolulu, February 28–March 4, 2005. Roundtable presentation, “The Creating Effective Partnerships for Sustainable Human Security Project: A Multi-cultural Peace Education Initiative,” IPRA, Sopron, Hungary, June 2004. Roundtable presentation, “Putting Together a Negotiating Package,” Leaders Summit on Global Infectious Diseases: Toward an L20?, Canadian Foreign Ministry Preparatory Conference, San Jose, Costa Rica, November 11–13, 2004. Chair, “South Korea” panel, International Conference on Democracy and Democtratization in Confucian Societies, Columbia, SC, April 23–25, 2004. “The United Nations and International Norms: A Sunset Institution?” International Studies Association, Montreal, March 17–20, 2004. Discussant, “International Organizations and Development” panel, International Studies Association, Montreal, March 17–20, 2004. Participant, “Roundtable on New Perspectives,” Workshop on New Insecurities, New Regionalisms and Anti-globalizations, University of London, United Kingdom, December 9–11, 2003. Chair, “Korea’s Regional Economic Role” panel, The Eighteenth Annual Conference of the Council on U.S.-Korean Security Studies, Washington, D.C., October 8–10, 2003. “The United Nations as Norm-Creator: Sunrise or Sunset. The Case of the Millennium Development Goals,” with Jacques Fomerand, Paper prepared for delivery at the International Conference on Norms for the 21st Century, Aix-en Provence, September 11–14, 2003. “The Constructed World(s) of Development in the UN: Thinking and Acting Outside the Box of Westphalia,” International Studies Association, Portland, February 25–March 1, 2003. Discussant, “Civil Society, Globalizations and Anti-globalizations” Workshop on Globalizations/New Regionalisms/Development, University of London, United Kingdom, December 15–17, 2002. “HIV/AIDS and Human Security: The Evolving Challenge for International Cooperation,” with Christer Jönsson and Vladislav Kravtsov, paper prepared for the Annual Meeting of the Academic Council on the United Nations System, Lisbon, 20–22 June 2002. “The Westphalia World of Intergovernentalism at the United Nations,” with Donald Puchala, International Studies Association, New Orleans, March 27, 2002. Presenter, Roundtable: “Globalization and Development,” Workshop on Globalization, Development, and the Commonwealth, University of London, December 14, 2001. “The United Nations: The Last Bastion of Sovereignty,” with Don Puchala, International Studies Association World Congress, Hong Kong, July 25-27, 2001. “Multiplex Governance and the UN System: Evolving Strategies for Sustainable Human Security and Development,” Annual Meeting of the Academic Council on the United Nations System, Puebla, Mexico, 15–17 June 2001. “The UN System and the New Inequality: Transformation or Marginalization?” with Vladislav Kravtsov, paper prepared for the Annual Meeting of the International Studies Association, Chicago, 20–24 February 2001. Chair, “Challenges of the New Inequality: Competing Perceptions of Power and Wealth and the Transformation of Global Governance” panel, Annual Meeting of the International Studies Association, Chicago, 20-24 February 2001. “The Challenge of Relevance Revisited,” paper prepared for the Annual Meeting of the Academic Council on the United Nations System, Oslo, 16–18 June 2000. “The United Nations at the Turn of the 21st Century,” feature presentation at the 2000 USC-Clemson Inter-Faculty Foreign Policy Seminar, Clemson, 17 April 2000. “The United Nations at the Turn of the Twenty-first Century ” with Donald Puchala, paper prepared for the Annual Meeting of the International Studies Association, Los Angeles, 16–18 March 2000. Chair, “The ‘New regionalism’ and Its Impact: Security, Human Rights, Trade” panel, Annual Meeting of the International Studies Association, Los Angeles, 16–18 March 2000. Discussant, “An Exploration into Adaptation and Change of International Organizations” panel, Annual Meeting of the International Studies Association, Los Angeles, 16– 18 March 2000. Participant, International Peace Academy Roundtable on “The Humanitarian Challenge in Kosovo,” New York, 7 March 2000. Panelist, “The Evolving Relations between NGOs and the UN System: Implications for Global Governance” Roundtable, at the 40th Strategy for Peace Conference, sponsored by the Stanley Foundation, Airlie Center, Warrenton, Virginia, 21–23 October 1999. “Global Governance and Human Security,” colloquium presentation, Walker Institute of International Studies, USC, 1 September 1999. Panelist, “Publishing in International Studies” Roundtable, Annual Meeting of the International Studies Association, Washington, D.C., 16–20 February 1999. Discussant, “Future Directions in IO Research: Insights from Diverse Fields,” Annual Meeting of the International Studies Association, Washington, D.C., 16–20 February 1999. Colloquium Speaker, “Human Security and Global Governance in the New Millennium,” Making Sense of the Millennium Series, University of Alberta, Edmonton, Canada, 17 November 1998. Panelist, “International Peace and Security, Theory and Policy: What Has Been Written, What Has Not, and Why?” Brown University, Providence, Rhode Island, 2 October 1998. “The Encounter of civilizations: Beyond Myopia,” paper prepared for the Third Pan-European International Relations Conference and Joint Meeting with the International Studies Association, Vienna, Austria, 16–19 September 1998. Panelist, “New Global realities and the Changing Role of the State, Special Panel at the Third Pan-European International Relations Conference and Joint Meeting with the International Studies Association, held at Szechenyi School of Technology and Economics, Györ, Hungary, 19 September 1998. “The New Millennium: Global Governance and the Formation of a Culture of Peace,” key-note address at the International Forum “For a Culture of Peace and Dialogue of Civilizations, against a Culture of War and Violence” in Kishinev, Moldova, 15–19 May 1998, sponsored by Director-General of UNESCO and the President of the Republic of Moldova. “Organizational Learning and UN Reform for Promoting Human Security,” with Andrei Maximenko, prepared for delivery at the Annual Meeting of the International Studies Association, Minneapolis, 17–21 March 1998. Chair, “IOs as Organizations” Panel, Annual Meeting of the International Studies Association, Minneapolis, 17–21 March 1998. Discussant, “Promoting Peace and Security: Can the UN Succeed?” Annual Meeting of the Academic Council on the United Nations System, San José, Costa Rica, 25–27 June 1997. “A Critical Perspective on Multilateral Governance: Managed Change for Promoting Human Security,” with Andrei I. Maximenko, paper prepared for delivery at the Annual Meeting of the American Political Science Association, Washington, D.C., 26-30 August 1997. Chair, panel on “Public Support for the United Nations,” 37th Annual Meeting of the International Studies Association, Toronto, Canada, 16–20 April 1997. Commentator, “Tempering Collaboration: UN Task-Sharing with Regional and Nongovernmental Organizations for Security and Services,” Brown University, 13–14 December 1996. “Requirements of Multilateral Governance in a Postmodern Era,” prepared for delivery at the Joint Convention of the International Studies Association / Japanese Association of International Relations, Makuhavi, Japan, 20–22 September 1996. Conference Rapporteur, “Promoting Economic and Social Development: Role and Impact on the United Nations,” Ninth Annual Meeting of the Academic Council on the United Nations System in Turin, Italy, 22–23 June 1996. Organizer and host, research and training workshop on “Transforming Global Governance in the 21st Century: Bringing in Civil Society,” International Training Centre, International Labour Organisation, Turin, Italy, 22–23 June 1996, held in conjunction with the Ninth Annual Meeting of the Academic Council on the United Nations System. “The United Nations and Sustainable Development: An Agenda for Development or Coordination Without Hierarchy,” with Donald Puchala, prepared for delivery at the Ninth Annual Meeting of the Academic Council on the United Nations System, Turin, Italy, 22–23 June 1996. Panelist, Roundtable on “Rethinking Multilateral Engagements,” U.S. Department of State, 20 May 1996. Panelist, Roundtable on “The Future of the United Nations” at the 37th Annual Meeting of the International Studies Association, San Diego, 16–20 April 1996. “Meeting the Challenges of a New World Order: The Role of UNESCO,” presented before the National Assembly on the United States and the United Nations, Washington, D.C., 31 August–2 September 1995. Order: Implications for East Asia,” prepared for delivery at the international conference on “The Future of the United Nations and East Asia,” Peking University, Beijing, China, 6–8 July 1995. “Beyond Unilateralism: The United States and the UN System in the Face of New Challenges,” presented at the international symposium on “The United Nations at Fifty: New Challenges in an Era of Societal Globalization and State Fragmentation,” Tübingen, Germany, 29 June–1 July 1995. Invited participant, The United Nations and the Next Fifty Years: Using Force to Keep the Peace, Workshop I, Institute of International Studies, University of California, Berkeley, 20–21 March 1995. Invited participant, “UNESCO: The Role of the Specialized Agency in the United Nations,” interdisciplinary conference on “The United Nations at Fifty (1945–1995): At the Threshold of a New World Order,” Hofstra University, Hempstead, New York, 16–18 March 1995. “Institutionalizing the Global Environmental Movement: Sustainable Development —Firm Fixture, Fad, or Fantasy?” with Charles Hall, prepared for delivery at the 36th Annual Meeting of the International Studies Association, Chicago, 21–25 February 1995. Special Seminar, “The United States and UN Reform,” conducted for selected officials of the Bureau of International Organization Affairs and the U.S. Mission to the UN, U.S. Department of State, Washington, D.C., 27 February 1995. Invited participant, colloquium on Utopia Lost: The United Nations and World Order, Council on Foreign Relations, New York, 13 December 1994. “The United Nations and Sustainable Development: Creative Partnerships with Civil Society,” with Chadwick Alger, Ronnie Lipschutz, Peter Söderholm, prepared for delivery at the 7th Annual Meeting of the Academic Council on the United Nations system, The Hague, 23–25 June 1994. “The United Nations as a Democratizing Force,” conference on “Promoting Democracy: The Influence of International Forces,” South Carolina Conference on International Relations, April 15, 1994. “The United Nations Facing the 21st Century,” with Donald Puchala, paper prepared for delivery at the Symposium on UN Membership for the Republic of China, Adam’s Mark Hotel, Columbia, April 1–2, 1994. “Social Networks and International Cooperation in Response to AIDS,” with Leon Gordenker, Christer Jönsson, and Peter Söderholm, prepared for delivery at the 35th Annual Meeting of the International Studies Association, Washington, D.C., 28 March–1 April 1994. Chair, “Institutional Processes and International Organization” panel, 35th Annual Meeting of the International Studies Association, Washington, D.C., 28 March–1 April 1994. “Processes of International Cooperation: The Challenge of Global Policy Coordination,” Statsvetenskapliga institutionen, Lunds Universitet, September 28, 1993. “The United Nations and World Politics: Learning from Change,” with David Forsythe and Thomas Weiss, manuscript presented at the Sixth Annual Meeting of the Academic Council on the United Nations system, Montreal, June 17–19, 1993. “Beyond the Earth Summit: Political Dimensions of Global Environmental change,” The Charles Knowlton Law and Humanities/Social Sciences Lecture, USC, April 13, 1993. “The Problems and Prospects of the United Nations Specialized Agencies and Financial Institutions,” The United Nations: A New Role in a New World Order Conference, 397th Wilton Park conference cosponsored by the Twentieth Century Fund at Wiston House, West Sussex, England, 24–28 May 1993. “Institutionalized Chaos: AIDS, Environment and World Politics,” with Peter Söderholm, prepared for delivery at the 34th Annual Meeting of the International Studies Association, Acapulco, Mexico, 23–27 March 1993. “Studying Global Environmental Governance: Investigating the Determinants of Change and the Prospects for Transformation,” with Harvey Starr and Charles Kegley, prepared for delivery at the 34th Annual Meeting of the International Studies Association, Acapulco, Mexico, 23–27 March 1993. “The United Nations and a New Democratic Order,” paper presented at the International Peace Seminar, Kyung Hee University, 15–17 September 1992. Panelist, “State of the United Nations” panel, Fifth Annual Meeting of the Academic Council on the United Nations System, Washington, D.C., June 15–17, 1992. “Social Networks in Responding to AIDS: Travel Restrictions and the San Francisco Boycott,” with Kurt Will, paper prepared for delivery at the 33rd Annual Meeting of the International Studies Association, Atlanta, March 31–April 4, 1992. Discussant, “Progress in International Relations: The United Nations and Human Rights” panel at the 33rd Annual Meeting of the International Studies Association, Atlanta, March 31–April 4, 1992. Panelist, “The United Nations/ACUNS UN Staff-Faculty Exchange Program: Reports by Participants,” Fourth Annual Meeting of the Academic Council on the United Nations System, United Nations, New York, 23–25 June 1991. “Leadership Dynamics in International Institutions,” prepared for delivery at the 31st Annual Meeting of the International Studies Association, Washington, D.C., 10–14 April 1990. “The State of International Organization, 1989,” with Don Puchala, paper delivered by invitation to the Third Annual Meeting of the Academic Council on the United Nations System, Ottawa, June 17–19, 1989. “Problems and Prospects in U.S./UNESCO Relations,” presentation before the Standing Committee on Peace and International Relations, National Education Association, Washington, D.C., October 14, 1989. “The World Health Organization as a Linking Pin: Organizing the Global Response to AIDS,” with Kurt Will, prepared for delivery at the 30th Annual Meeting of the International Studies Association, London, 28– 31 March 1989. Chair, Roundtable, “U.S. and U.K. Perspectives on UNESCO,” 30th Annual Meeting of the ISA, London, 28–31 March 1989. “The State of International Organization, 1988,” with Don Puchala, paper delivered by invitation to the 2nd Annual Meeting of the Academic Council on the United Nations System, New York City, June 23– 25, 1988. “A Critical Assessment of the Power of Human Needs in World Society,” with Jerel Rosati and David Carroll, prepared for delivery at the Conference on Human Needs, George Mason University, Fairfax, Virginia, summer 1988. “The Directorship-General of UNESCO: Anatomy of Changing Influence Patterns,” paper delivered at the 29th Annual Meeting of the ISA, St. Louis, March 29–April 2, 1988. “Interorganizational Relations and Regime Dynamics: The Evolving World Information Order,” paper delivered at the Annual Meeting of the ISA, Washington, D.C., April 15–18, 1987. Discussant, “Changing Patterns in United States Participation in International Organizations: A Roundtable,” Annual Meeting of the ISA, Washington, D.C., April 15–18, 1987. “Changing Patterns of Conflict: The United States and UNESCO,” paper delivered by invitation at the “Wingspread Conference on United States Participation in International Organization,” sponsored by the Johnson Foundation, Racine, Wisconsin, January 28–30, 1987; revision of a paper delivery at the Annual Meeting of the American Political Science Association (APSA), New Orleans, August 29–September 1, 1985. Discussant, “Some Issues in International Organization,” Annual Meeting of the APSA, Washington, D.C., August 28–31, 1986. “The Power of Human Needs in Global Relations,” with Jerel Rosati, paper delivered at the Annual Meeting of the ISA/South, Atlanta, November 6, 1986. “Network Analysis and the Comparative Study of International Regimes,” paper delivered at the Annual Meeting of the ISA, Anaheim, March 25–29, 1986. “Bridging the Micro-Macro Gap in Global Relations Theory,” paper delivered at the Annual Meeting of the ISA, Washington, D.C., March 1985; also panel chair. “Global Development Policy and International Regimes,” paper delivered at the Annual Meeting of the Southern Political Science Association (SPSA), Savannah, November 28–30, 1984. “The International Seabed Regime: Progressive Development of Creative Camouflage?” paper delivered by invitation at “The United States and Multilateral Diplomacy Conference,” Brigham Young University, May 1984. “Critical Theorizing for Global Development,” paper delivered at the Annual Meeting of the ISA, Atlanta, March 28–31, 1984. “The World Order/International Development Administration Nexus”, with David S. Cownie, paper delivered at the Annual Meeting of the ISA, Philadelphia, March 18–21, 1981. “Environmental Change and Global Responses to Rapid Population Growth,” paper delivered at the Annual Meeting of the Pacific Sociological Association, San Francisco, April 11, 1980. “Issue Regimes and Paradigmatic Development in the Study of World Politics,” paper delivered at the Annual Meeting of the APSA, Washington, D.C., August 1980. “The Role of Institutions in Maintaining and Overcoming Global Systems of Dominance and Dependence,” paper delivered at the Annual Meeting of the ISA, Los Angeles, March 19–22, 1980. “Issue Regimes in the Oceans and Outer Space: Parallel Development?” paper delivered at the Annual Meeting of the ISA/South, University of Georgia, Athens, October 4–6, 1979. “The Exploitation of the Seabed: Problems of Issue Regime Formation and Maintenance,” with Werner Feld, paper delivered at the Annual Meeting of the ISA, Toronto, March 21–24, 1979. “Evaluating the Potential Impacts on Arizona Publics of an UNCLOS Agreement on Seabed Exploitation,” with T. Edward Bunch, paper delivered at the ISA/South, Conference, Chapel Hill, October 26–28, 1978. “The Role of Nongovernmental Actors in International Population-Development Decision-making Networks,” paper delivered at the Annual meeting of the ISA, Washington, D.C., February 22–25, 1978. “Computer Simulation and Population Assistance Planning Efforts: The Role of Information Processing Models,” with Paul Anderson, paper delivered at the Annual Meeting of the ISA, St. Louis, March 14–20, 1977. “Planning Models for Population-Development Assistance,” paper delivered at the Third International Conference of the World Population Society, Washington, D.C., December 3–6, 1976. “Monitoring the Performance of International Governmental Organizations Concerned with Population Growth and Change,” paper delivered at the Annual Meeting of the ISA, Toronto, February 25–29, 1976. “Events Data and Transnational Policy Analysis,” paper delivered at the Annual Meeting of the ISA, Washington, D.C., February 19–22, 1975. “Contextual Properties of Foreign Policy: Substantive Problem-Areas and Over/Under Response,” paper delivered at the Annual Meeting of the Southern Political Science Association, New Orleans, November 7–9, 1974. “The Applicability of Events Data for the Study of International Organizations,” panel chair at the Annual Meeting of the ISA, Washington, D.C., February 19–22, 1975.